ProLeak from Pixel Film Studios allows you to take total control over your light leak in Final Cut Pro X. With on-screen controls and customizable options, you can manipulate and create the perfect light leak for your scene. 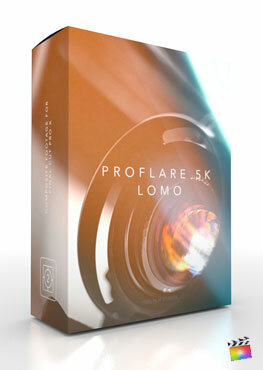 Simply drag and drop one of the 30 ProLeak presets on to your footage and prepare to control the light in FCPX! You no longer have to worry about matching the movement of your composite light leak footage to your clip. With ProLeak, you have total control over the light source. Manipulate the position, lens rotation, opacity and scale of your flare directly inside FCPX to match your moving camera shots. ProLeak allow you to customize and control the light while still maintaining a perfectly organic look. From an orange sunset in an Autumn field to a purple surreal glow, ProLeak can create the perfect light leak for any mood or lighting situation. With 30 unique presets to choose from and customizable options, the possibilities are endless. Stop fiddling with numbers to move your light source. Take command of this plugin using the on-screen controls in the FCPX viewer. Simply grab the provided handles to control your light’s angel and position on the screen. ProLeak was created by the team at Pixel Film Studios to integrate perfectly with Final Cut Pro X to enhance your editing experience. Simply drag and drop one of the ProLeak title layers on top of your footage in FCPX timeline and see the feel and look of your scene change instantly. Where do I find ProLeak? Once the installation is complete, you can find ProLeak in the FCPX Titles library.